GenList is a mailing list operated by ÖFR covering the geographical area of the former Austro-Hungarian monarchy and its neighboring regions. Native speakers from Austria, Germany, the Czech Republic, Hungary, Slovakia, Slovenia, Croatia and Italy are ready to help you find solutions to your genealogical problems. GenList is bilingual – you can post your messages in either English or German. Each email provides links to three translation sites. GenList is moderated – ensuring undisturbed communication. GenList is completely free of charge! Once you have registered and have been confirmed by the administrator, you will receive an email explaining how you can use this mailing list. You can immediately send a message to all subscribers. 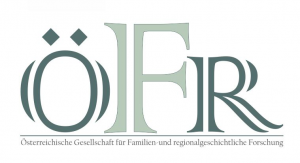 We are pleased to welcome you at the Austrian Society for Research on Genealogy and Regional Heritage (ÖFR) and wish you all the best with your research! Copyright © 2017-18, ÖFR-Austrian Society for Research on Genealogy and Regional Heritage.